BleachHouseLibrary.ie: Her Name Was Rose by Claire Allan: Cover Reveal and Exclusive Excerpt. Her Name Was Rose by Claire Allan: Cover Reveal and Exclusive Excerpt. It should have been me. I should have been the one who was tossed in the air by the impact of a car that didn't stop. ‘Like a ragdoll’, the papers said. I had seen it. She wasn't like a ragdoll. A ragdoll is soft, malleable even. This impact was not soft. There were no cushions. No graceful flight through the air. No softness. There was a scream of 'look out!' followed by the crunch of metal on flesh, on muscle, on bone, the squeal of tyres on tarmac, the screams of onlookers – disjointed words, tumbling together. The thump of my heart. A crying baby. At least the baby was crying. At least the baby was okay. The roar of the engine, screaming in too low a gear as the car sped off. Footsteps, thundering, running into the road. Cars screeching to a halt as they came across the scene. But it was the silence – amid all the noise – that was the loudest. Not a scream. Not a cry. Not a last gasp of breath. Just silence and stillness, and I swore she was looking at me. Accusing me. Blaming me. I couldn't tear my gaze away. I stood there as people around me swarmed to help her, not realising or accepting that she was beyond help. To lift the baby. To comfort him. To call an ambulance. To look in the direction in which the car sped off. Was it black? Not navy? Not dark grey? It was dirty. Tinted windows. Southern reg, maybe. It was hard to tell – muddied as it was so that the letters and numbers were obscured. No one got a picture of the car – but one man was filming the woman bleeding onto the street. He'd try and sell it to the newspapers later, or post it on Facebook. Because people would ‘like’ it. A child, perhaps eight years old, was screaming. Her cries piercing through all else. Her mother bundled her into her arms, hiding her eyes from the scene. But it was too late. What has been seen cannot be unseen. People around me did what needed to be done. But I just stood there – staring at her while she stared at me. Because it should have been me. I should be the one lying on the road, clouds of scarlet spreading around me on the tarmac. I stood there for a few minutes – maybe less. It's hard to tell. Everything went so slowly and so quickly and in my mind it all jumps around until I'm not sure what happened when and first and to whom. ‘I was just behind her,’ I muttered, still trying to see my way through the crowds. Sure that if I did, the coat would be lifted in a flourish of magic trickery and the lady would be gone. Someone would appear and shout it was an elaborate magic trick and the lovely woman – who just minutes before had been singing 'Twinkle Twinkle' to the cooing baby boy in the pram as we travelled down in the lift together – would appear and bow. There's no need to rush, I thought, she's going nowhere. ‘I'll get you a sweet tea,’ the brassy blonde said, leading me to the benches close to where the horror was still unfolding. It seemed absurd though. To sit drinking tea, while that woman lay dead only metres away. ‘I’m fine. I don’t need tea,’ I told her. This was more than shock though. This was guilt. This was a sense that the universe has messed up on some ginormous, stupid scale and that the Grim Reaper was going to get his P45 after this one. Mistaken identity was unforgivable. A paper cup of tea was wafted in front of me – weak, beige. A voice I didn't recognise told me there were four sugars in it. Brassy Blonde sat down beside me and nodded, gesturing that I should take a sip. I didn't want to. I knew if I did, I would taste. I would feel the warmth of it slide down my throat. I would smell the tea leaves. I would be reminded I was still here. ‘It's the shock. Let me, pet,’ she said softly as she reached across and gently prised my hands open, sitting my bags on the bench beside me. She lifted the cup towards me, placed it in my right hand and helped me guide the cup to my mouth. The taste was disgustingly sweet, sickening even. I sipped what I could but the panic was rising inside me. The ambulance was there. Police too. I heard a woman crying. Lots of hushed voices. People pointing in the direction in which the car had sped off. As if their pointing would make it reappear. Beeps of car horns who didn't realise something so catastrophic had held them up on their way to their meetings and appointments and coffees with friends. Faces, blurring. Familiar yet not. They couldn't have been. The tightness started in my chest – that feeling that the air was being pushed from my lungs – and it radiated through my body until my stomach clenched and my head began to spin just a little. He could be watching me crumble and enjoying it. The noise became unbearable. Parents covering the eyes of children. Shop workers standing outside their automatic doors, hands over their mouths. I swear I could hear the shaking of their heads – the soft brush of hair on collars as they struggled to accept what they were seeing. Breathing – loud, deep. Was it my own? Shadows moving around me. Haunting me. I felt sick. 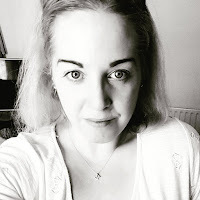 ‘I have to go,’ I muttered – my voice tiny, distorted, far away – as much to myself as to Brassy Blonde, and I put down the tea cup and lifted my bags. ‘You have to stay, pet,’ she said, a little too firmly. I took against her then. No, I wanted to scream. I don't have to do anything except breathe – and right now, right here that was becoming increasingly difficult. I glared at her instead, unable to find the words – any words. That made the panic rise in me more. Would they find out that it should have been me? Would I get the blame? 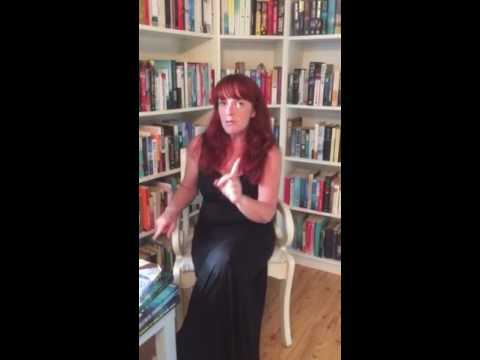 Would I become a headline in a story – ‘lucky escape for local woman’ – and if so, what else would they find out about me? I couldn't take that risk. I consoled myself that I probably couldn't tell them anything new anyway. No, I didn't want to talk to the police. I couldn't talk to the police. The police had had quite enough of me once before. 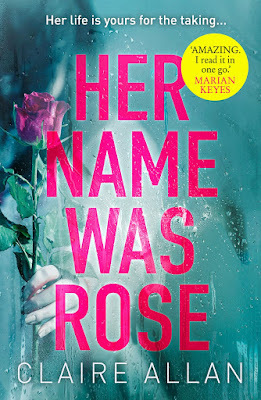 Thank you Avon Books of Ireland for the sneak peak of 'Her Name was Rose'! To author Clair Allan, the first chapter is beautifully written and draws you in and I can't wait to read the rest of the novel! Bravo! !